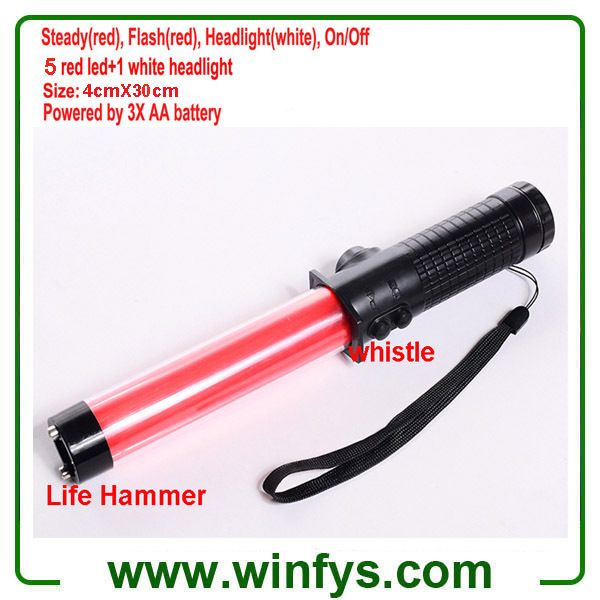 The 30 cm Led Traffic Baton provides highly visible traffic safety light for guidance and alert to pedestrians or drivers. The Traffic Baton also features a handy top light (white headlight) and a magnetic base. 1.In the middle: 5 red leds, flash-steady for SOS in the dark. On the top: 1 white led, light in the dark. 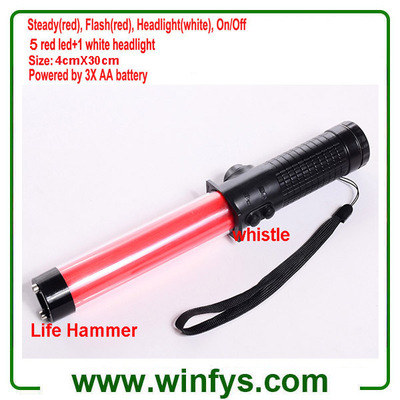 The top can be used for life hammer to broke window when be trapped in the car. 3.Non-slip handel,buckle and lanyard, easy to take. 4.Silicone rubber button, not damage easily. 5.Independent switches, whistle and flash/light are not affected by each other. 6.Magnet on the bottom can be attached on iron.